When you are defining your brand, and if it happens to be a rebranding effort, then it means change, evolution and further growth. It was indeed, time to re-imagine for Deepshikha Dharmaraj, as stepped into her new role as Managing Director, for what followed soon was the formal Genesis BCW rebranding announcement. Prior to becoming the Managing Director, Deepshikha was the Chief Business Growth Officer at Genesis BCW where her role spanned the two key drivers of business growth for the firm – clients and talent. On the one hand, it encompassed the growth of clients and partnerships, along with developing new services to deliver on the company’s promise of integrated communication for global and Indian brands. This also included new business development, marketing initiatives and all external communication. And on the other hand, she led talent management as well as learning and development, helping to create an enabling environment and a strong values-driven culture, along with a backbone of processes and infrastructure for the company’s next level of growth. RT: In the recent leadership change in GenesisBCW, you were elevated to the post of Managing Director. What will this signify for you? We began the year with rebranding from Genesis Burson-Marsteller to Genesis BCW. The new branding combines the freshness and renewed thinking of BCW with the pioneering work that Genesis has built a reputation for. In the past few years, we have been doing creatively differentiated work in the business and we intend on doing the same and in a more focused and consistent manner. And that is what will be my focus—working towards ensuring our people learn and embrace integrated marketing thinking to deliver better results for our clients. It is the future and we have been the pioneers in many ways and will continue pushing boundaries. RT: What were your highlights in the previous role as Chief Business Growth Officer? As Chief Business Growth Officer, my role encompassed the growth of clients and talent along with developing new services to deliver on the company’s promise of integrated communication for global and Indian brands. From 2014-2016, we focused on growing our capabilities, creating centres of expertise and business divisions, and reengineering our practices, giving our clients a range of services to choose from. Of course, bringing in new clients and growth for the firm was my key focus but working with teams to create campaigns that pushed the boundaries of communications and win awards on the back of the results we delivered was a bigger high. Over the years, we have steadily increased the number of awards we win every year. Last year, we won 45 across Indian and global platforms! We also won the coveted Fulcrum India Consultancy of the Year – Giant. It has been gratifying to see our efforts bear fruit. The other big focus area has been talent. We have always been known for our talent development initiatives and industry-leading learning programmes. In the last few years, we have added more programmes, touching every part of the employee lifecycle. RT: How did your journey into Public Relations start off? I began my journey almost 25 years ago at Genesis BCW (then Genesis PR), after completing my master’s degree and a short stint in marketing. Public relations was very new at that time with a couple of consultancies emerging. When Prema offered me a job at Genesis PR, a start-up, it sounded exciting with a lot to learn. In the early years we were doing everything from chasing new business to creating campaigns, to media follow-ups, keeping account books, managing an office and team—all with equal commitment and passion. I was all of 24 years old when Prema entrusted me with setting up the Mumbai office for the firm! Since then, the two things which have remained constant are learning and the passion for excellence. RT: What will be your goals as the person running India’s number two Public Relations firm? Over the last 25 years, I have contributed to the growth of the firm in different roles from client servicing to talent management and development, to conceptualising and setting-up new services to driving marketing and new business and can confidently say I know our strengths, opportunities and areas of improvement. Over last few years we have been adding more services and deeper domain expertise. We are now bringing them all together to deliver integrated communication. Clients today are looking for differentiated services like content, digital, public affairs, CSR and they don’t really care whether they are coming from a public relations firm or a marketing or advertising firm. What they are also looking for are creative and effective ways to tell their story and that is what we are focusing on—creating campaigns that are based on an insight and can deliver impact, not just for coverage, but real, measurable business impact. Our key priority for making this happen is to continue upskilling our people as well as getting specialists for delivering these differentiated services. RT: As Chief Talent Officer earlier, you were responsible for hiring, nurturing and developing talent. What were your learnings during this stint? We believe, we have been pioneers with our talent development initiatives and this ethos of putting people first comes from Prema and the way she has always run the business. Investing in our people is not just something that is good to do but an imperative. We empower our people with the right learning input, knowledge and best practices to make them true leaders in the business. Upskilling them to bridge potential gaps serves as the foundation for our insight-driven campaigns. Hiring and integrating differently skilled talent brings in a fresher perspective. 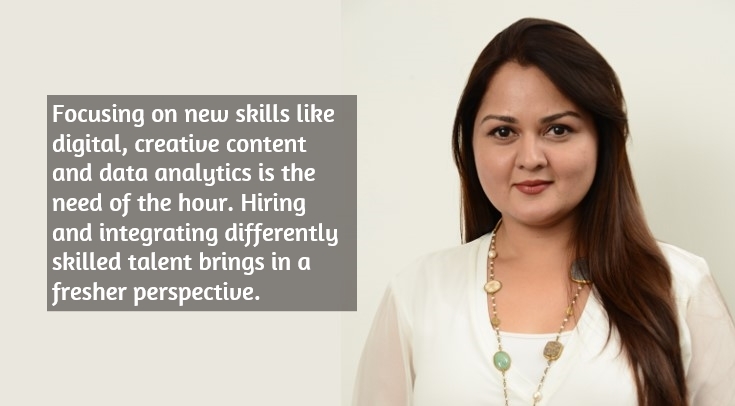 Focusing on new skills like digital, creative content, data analytics is the need of the hour. The measurement of a campaign’s effectiveness and its impact on the client’s businesses has always been the Achilles heel in the sector. Relentless training and mentoring of our people to do all this completes the circle and helps in achieving better results for the client. Our Genesis BCW School of Learning, which began 18 years ago, ensures we remain focused on this priority and keep evolving to get the next generation of leaders ready for the profession. RT: Why do we see very few women in leadership positions in PR consultancies, given that there are a large number of women at entry and mid-levels? Actually, we do have some really dynamic women at the helm in the business. Even beyond Genesis BCW we have women leaders heading firms like Archana Jain, Nandita Lakshmanan, Kavita Rao, Valerie Pinto, Kavita Lakhani, Sunayna Malik and many others. RT: How has the Public Relations business in India evolved in the last 25 years that you have been part of it? When we started out, public relations was at a very nascent state. People didn’t understand what it could do for their business. When the economy opened up in the early ’90s, global companies began to enter India. They were ahead of the curve as far as public relations was concerned. We had to do PR for PR and hand-hold our clients through the process. Over the years, public relations has evolved and moved from the periphery to the centre. We are now strategic partners of our clients. What started as a media relations role, has today added several layers. From providing creative, content, data and digital solutions on a pro-active basis, consultancies today cover crisis, public affairs, corporate social responsibility and more. It’s not just about taking a brief but sitting with the client and understanding their business challenges and co-creating a solution that delivers a tangible impact for their business. RT: What is the difference between younger professionals today versus younger professionals 20 years ago? The major difference between young professionals today and young professionals 20 years ago is in the approach to solve an issue. PR twenty years back was very singular but today, the profession is very dynamic and the ways to connect with stakeholders are many more. They have to think beyond traditional public relations, and so they have to be ambidextrous. Having said that, they are first generation netizens and know their way very well around the various mediums, new and old. But what has not changed is the ethics and integrity that forms the core of any profession. RT: What do you do in your leisure time that helps you maintain a work-life balance? For me travel, spending time with family and more recently fitness of the mind and body are the secret to a happy balanced life. To be able to do anything, you have to prioritise your health—both in terms of bodily health as well as mental health. 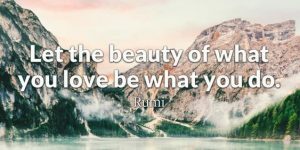 Exercise, yoga and meditation for better self-awareness, simply unwinding with my family help me to maintain my equilibrium. RT: What is your advice to women seeking leadership roles in PR consultancies? My advice to women looking at leadership roles is to believe in themselves. When you have faith in your abilities, all the problems, whether of balancing professional and personal life or handling diverse roles, become manageable. I would also advise them to follow their passion. When passion is involved in any work then it doesn’t remain work anymore, it becomes an extension of yourself. Finally, do not compromise, take pride in what you do and do it to your best abilities. 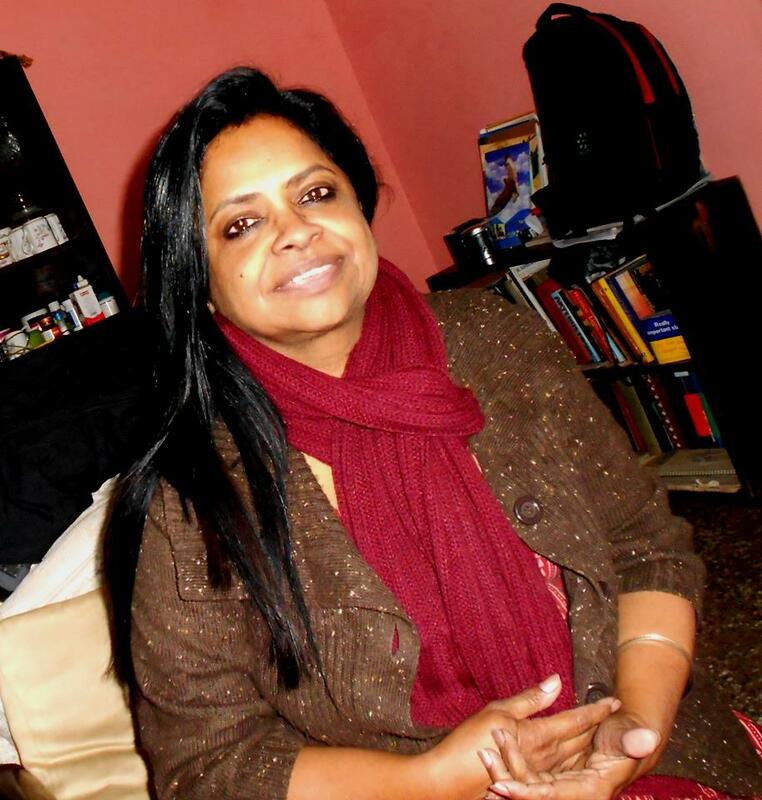 Be the first to comment on "In Conversation with Deepshikha Dharmaraj"